The one important exception is the government’s commitment to the replacement of the Trident nuclear weapons system, despite its enormous cost. New submarines procurement, missile leasing costs, extension of the current warheads’ lives, servicing and decommissioning: taking all these costs into account, replacing Trident will cost £205 billion. The beneficial effect of spending £205bn collectively is great and enduring. Each chapter in this report is focused on a key area of spending that would benefit the whole of society. In truth, £205bn is such a large sum that many of these claims on additional spending could be funded simultaneously if Britain abandoned its development of weapons of mass destruction. Funds redirected towards hard assets such as housing and to areas which improve productivity and living standards such as education or scientific research and development have a very substantial benefit to all our lives. The same applies in host of other areas, from health to jobs, to the challenge of climate change, to providing a decent retirement and supporting real international development through aid. 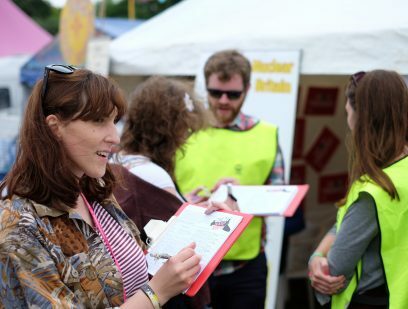 Experts and campaigners in these fields will detail their proposals in the chapters of this report. Investment in these areas all have costs. But it is foolish to talk about costs without talking about benefits. Investing in housing or education, or any of these areas will have large benefits for society as whole. Trident has none. The money saved by abandoning it is enormous, enough to wipe out the government budget deficit for one year. Redirecting it towards investment makes sense. Spending £205 billion on nuclear weapons is madness. 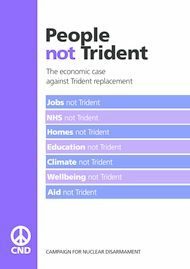 Read the full report (see left) to learn more about the economic implications of not replacing Trident.